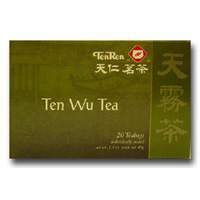 TEN WU TEA-The bst Oolong tea in the world. Ten Wu tea grows in Wusheh which beside Hohuan mountain at 1300 meters elevatoin. So far it is the highest tea plantation of Oolong tea.